A Community Protection Notice, which was served on a resident accused of anti-social behaviour, has been quashed by the courts. 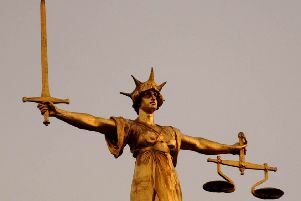 In March, Rother District Council served Mark Coates, of Eatenden Lane, Mountfield, with the notice after the authority alleged he failed to take notice of a warning letter asking him to stop behaving in an anti-social manner. The council at the time said it took action in a bid to prevent a neighbour dispute over property boundaries. In July Mr Coates appealed against the notice at Hastings Magistrates’ Court but failed. However on Tuesday (October 23) he won his appeal at Hove Crown Court where a judge quashed the notice. The council was ordered to pay £1,000 costs to Mr Coates. A Rother District Council spokesman said: “We are very disappointed that the Crown Court quashed the Community Protection Notice served on Mr Coates but we respect the decision of the court. “The decision to serve the notice was taken jointly with Sussex Police and based on evidence collected by the police from neighbours.